Columbia University Press, 9780231153669, 304pp. Much has been written about the ups and downs of financial markets, from the lure of prosperity to the despair of crises. Yet a more fundamental and pernicious source of uncertainty exists in today's world: the traditional "insurance" risks of earthquakes, storms, terrorist attacks, and other disasters. 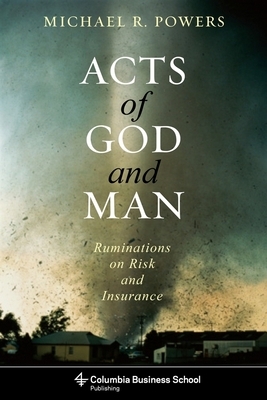 Insightfully exploring these "acts of God and man," Michael R. Powers guides readers through the methods available for identifying and measuring such risks, financing their consequences, and forecasting their future behavior within the limits of science. A distinctive characteristic of earthquakes, hurricanes, bombings, and other insurance risks is that they impact the values of stocks, bonds, commodities, and other market-based financial products, while remaining largely unaffected by or "aloof" from the behavior of markets. Quantifying such risks given limited data is difficult yet crucial for achieving the financing objectives of insurance. Powers begins with a discussion of how risk impacts our lives, health, and possessions and proceeds to introduce the statistical techniques necessary for analyzing these uncertainties. He then considers the experience of risk from the perspectives of both policyholders and insurance companies, and compares their respective responses. The risks inherent in the private insurance industry lead naturally to a discussion of the government's role as both market regulator and potential "insurer of last resort." Following a thoughtful and balanced analysis of these issues, Powers concludes with an interdisciplinary investigation into the nature of uncertainty, incorporating ideas from physics, philosophy, and game theory to assess science's limitations in predicting the ramifications of risk. Michael R. Powers is the Zurich Group Professor of Risk Mathematics at Tsinghua University's School of Economics and Management. He currently leads an interdisciplinary research team exploring the impact of cultural attitudes on risk finance. Prior to joining Tsinghua, he was professor of risk management and insurance at Temple University's Fox School of Business.